Step 1 : Soak 2 cups of Chura ( beaten rice ) in water for 4-5 mins. Wash and drain all the water . 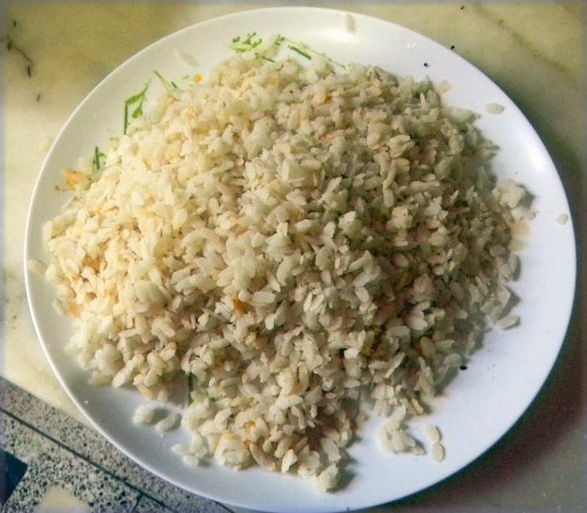 It will become fluffy like rice . Step 2 : Get the ingredients ready. 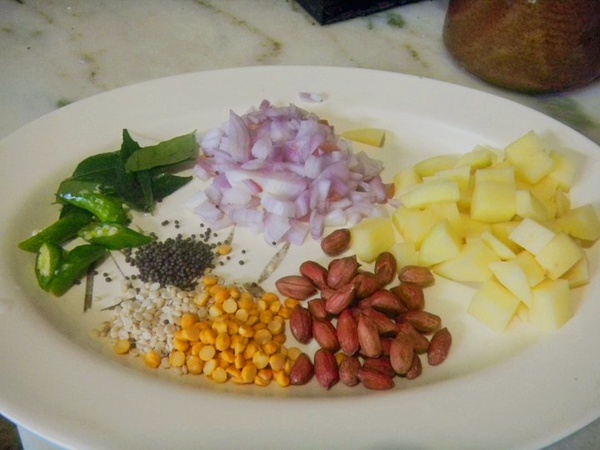 Step 3 : Heat oil and put chana dal, urad dal, mustard seeds, peanuts, curry leaves and fry until they crackle. 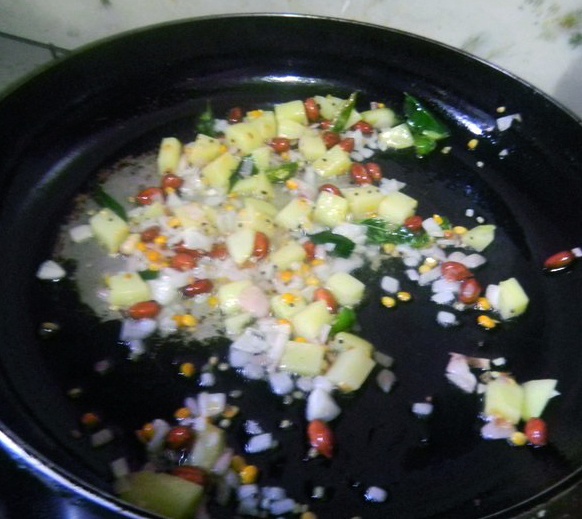 Add potatoes , saute for few minutes, then add chopped onions, chillies. Final Step : Add the chewra, coriander leaves and stir.Keep it on slow flame for 5- 7 minutes.Let it cool for sometime and add then lemon juice and serve. 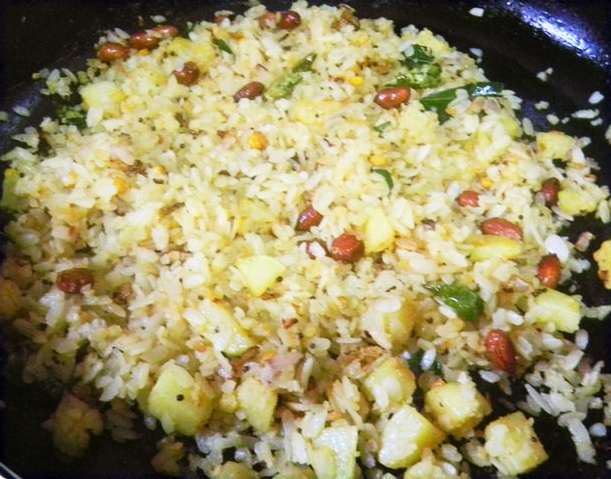 This entry was posted in Rice, Snacks & Appetizers, Vegetables by Kamakshi. Bookmark the permalink.